The upcoming Chargers season may or may not fill you with excitement, but you know what definitely should? Rooftop pool parties, reggae beer fests, and the rest of this can’t-miss September action in San Diego. Soak in a rooftop Labor Day pool party There ain’t no party like a rooftop pool party, so close down summer the right way. The party runs from 1-7pm (with a hosted vodka bar from 1-2pm), and there’ll be performances by DJs Toro y Moi, Plastic Plates, Rambo V, 2Shoes, Salter, and Tuff Turf all day. 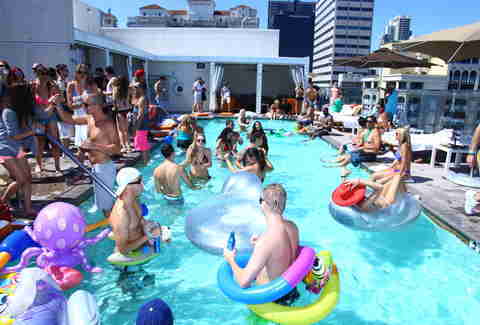 Soak in a rooftop Labor Day pool party Andaz San Diego RoofTop600 There ain’t no party like a rooftop pool party, so close down summer the right way. The party runs from 1-7pm (with a hosted vodka bar from 1-2pm), and there’ll be performances by DJs Toro y Moi, Plastic Plates, Rambo V, 2Shoes, Salter, and Tuff Turf all day. Taste the Taste of Old Town Thanks to the success of last year’s event, you’ll can try samples from 13 restaurants at Taste of Old Town again this fall. From 6-9pm, hop on the trolley to ride from location to location through Old Town as you enjoy live entertainment and try bites and spirits while supporting Meals-on-Wheels. Taste the Taste of Old Town Old Town Thanks to the success of last year’s event, you’ll can try samples from 13 restaurants at Taste of Old Town again this fall. From 6-9pm, hop on the trolley to ride from location to location through Old Town as you enjoy live entertainment and try bites and spirits while supporting Meals-on-Wheels. Eat through the San Diego Reader Feast Dozens of the best San Diego food trucks and restaurants will have bites available along with samples from local wineries and breweries. 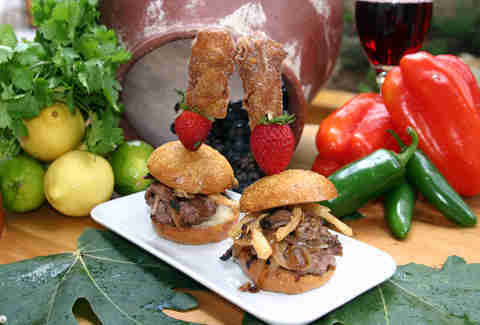 A portion of ticket sales and all proceeds from the cash bar will go to benefit the Jacobs & Cushman San Diego Food Bank. Eat through the San Diego Reader Feast Broadway Pier Dozens of the best San Diego food trucks and restaurants will have bites available along with samples from local wineries and breweries. A portion of ticket sales and all proceeds from the cash bar will go to benefit the Jacobs & Cushman San Diego Food Bank. Party on a Neon Night cruise Party on the water aboard the Adventure Hornblower during Neon Nights at Sea from 7:30-11pm. The boat, full of neon-wearing party people, will depart on a glow cruise around the bay with views of the San Diego skyline. Party on a Neon Night cruise Grape St Pier Party on the water aboard the Adventure Hornblower during Neon Nights at Sea from 7:30-11pm. 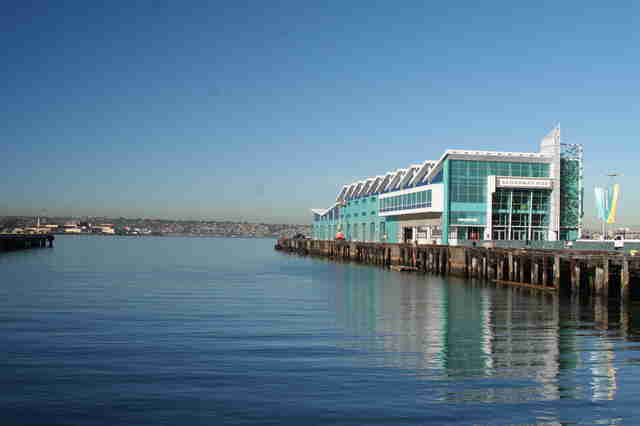 The boat, full of neon-wearing party people, will depart on a glow cruise around the bay with views of the San Diego skyline. Talk (and party) like a pirate Seaport Village is hosting Landlubbers Day in honor of Talk Like a Pirate Day. Come dressed as a pirate from 1-4pm and you'll find live entertainment from San Diego’s pirate-themed band the Jackstraws, a "Talk Like a Pirate" contest, and pirate’s booty food and drink specials throughout Seaport Village. Talk (and party) like a pirate Seaport Village Seaport Village is hosting Landlubbers Day in honor of Talk Like a Pirate Day. 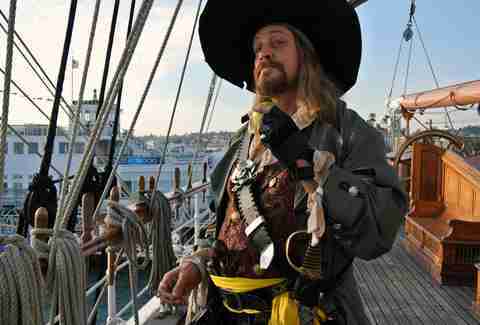 Come dressed as a pirate from 1-4pm and you'll find live entertainment from San Diego’s pirate-themed band the Jackstraws, a "Talk Like a Pirate" contest, and pirate’s booty food and drink specials throughout Seaport Village. Get dirty at a Mud Run This year’s course has 12 mud- and foam-filled obstacles to get through plus massive mud pits. Sign up for either the early-bird or the late-riser races, but whichever time you choose to compete, the proceeds will benefit the Challenged Athletes Foundation. When it’s all over runners get a T-shirt and your first beer is free. 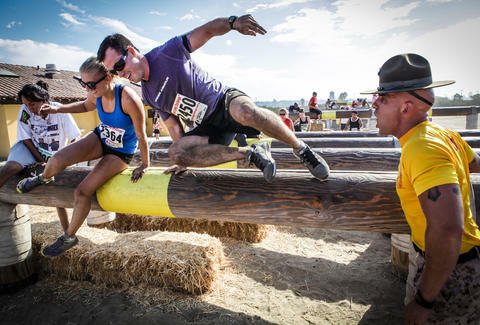 Get dirty at a Mud Run Del Mar Fairgrounds This year’s course has 12 mud- and foam-filled obstacles to get through plus massive mud pits. Sign up for either the early-bird or the late-riser races, but whichever time you choose to compete, the proceeds will benefit the Challenged Athletes Foundation. When it’s all over runners get a T-shirt and your first beer is free. See how you’d stack up as a Marine If you want to see how you measure up to our country’s heroes, then sign up for the 14th annual BootCamp Challenge at the Marine Corps Recruit Depot. 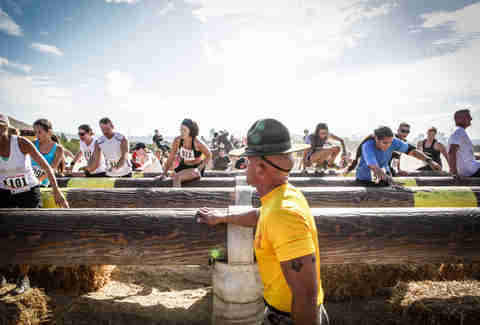 This three-mile run will have 60 Marine drill instructors “encouraging” participants along the course as they tackle 40 obstacles only used by the Marine Corps recruits including log hurdles, cargo nets, and push-up stations. Proceeds from the race benefit the Marine Corps Community Services. See how you’d stack up as a Marine Marine Corps Recruit Depot If you want to see how you measure up to our country’s heroes, then sign up for the 14th annual BootCamp Challenge at the Marine Corps Recruit Depot. This three-mile run will have 60 Marine drill instructors “encouraging” participants along the course as they tackle 40 obstacles only used by the Marine Corps recruits including log hurdles, cargo nets, and push-up stations. Proceeds from the race benefit the Marine Corps Community Services. 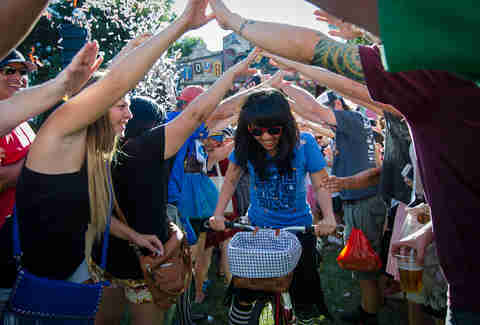 Get fat on beer New Belgium’s Tour de Fat is the most fun you’ll ever have at a fundraiser and the event is back again in Golden Hill Park. The festival promotes biking as sustainable transportation with a costumed bike parade, live music, and plenty of beer from noon to 5pm. Proceeds benefit the San Diego County Bicycle Coalition and the San Diego Mountain Biking Association. Get fat on beer Golden Hill Park New Belgium’s Tour de Fat is the most fun you’ll ever have at a fundraiser and the event is back again in Golden Hill Park. The festival promotes biking as sustainable transportation with a costumed bike parade, live music, and plenty of beer from noon to 5pm. Proceeds benefit the San Diego County Bicycle Coalition and the San Diego Mountain Biking Association. Hit a reggae-style beer fest Harrah’s Resort Southern California will host the second annual Hop Heads & Dreads reggae and craft beer festival from 3-7pm. Rock out to live entertainment from headliners The Expendables and Mike Love while drinking local craft beers and eating from the best food trucks in San Diego. 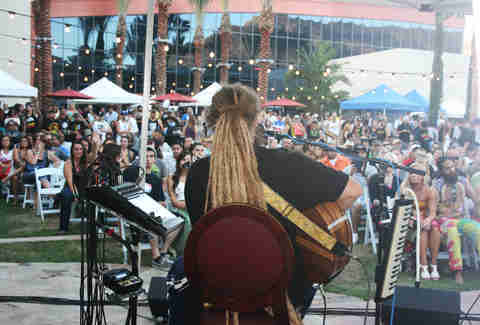 Hit a reggae-style beer fest Harrah’s Resort Southern California Harrah’s Resort Southern California will host the second annual Hop Heads & Dreads reggae and craft beer festival from 3-7pm. Rock out to live entertainment from headliners The Expendables and Mike Love while drinking local craft beers and eating from the best food trucks in San Diego. Kick off the San Diego Film Festival The San Diego Film Festival kicks off today and runs thru October 4th. The opening-night film will be shown at the Reading Cinemas in the Gaslamp at 7pm followed by the opening-night party at the Andaz Hotel. The fest will continue with five days of parties, movies, panels, actors, and film makers. Kick off the San Diego Film Festival Various locations The San Diego Film Festival kicks off today and runs thru October 4th. The opening-night film will be shown at the Reading Cinemas in the Gaslamp at 7pm followed by the opening-night party at the Andaz Hotel. 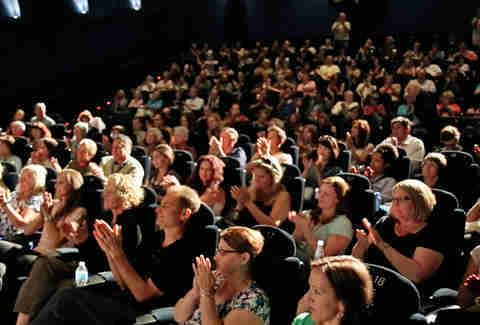 The fest will continue with five days of parties, movies, panels, actors, and film makers.